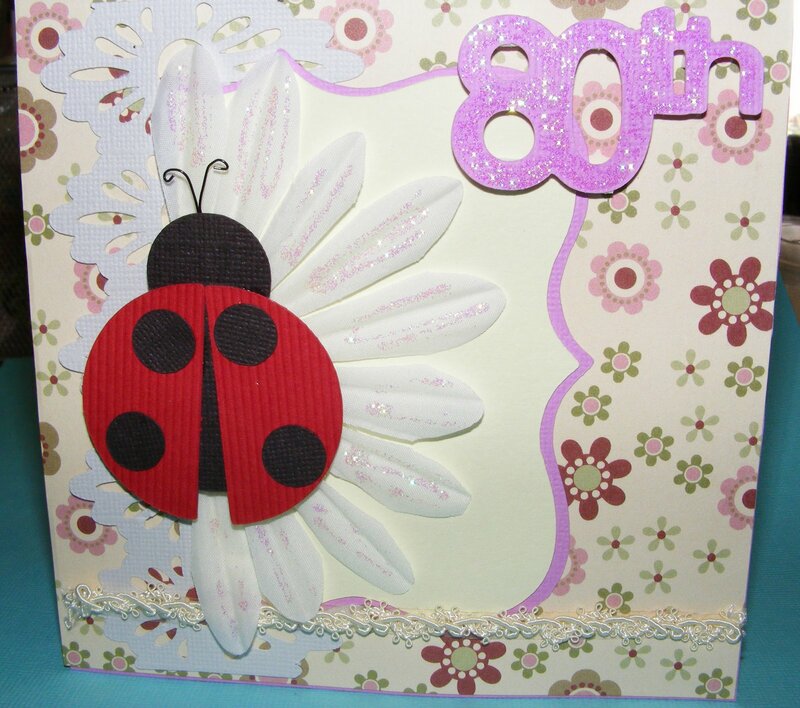 Wow, what can I say about cardmaking? Hmmm I think it is actually more difficult to create a “card” than it is to create an entire layout or an entire album even lol. Anyway, that’s probably quite enough blithering on for one day, long story short, I created a card for my best friends’ Mummy for her 80th Birthday tomorrow and I am stoked at how it turned out. This entry was posted on January 13, 2009 at 5:32 am and is filed under Diecut Shape SVG, Ladybug SVG. You can follow any responses to this entry through the RSS 2.0 feed. You can leave a response, or trackback from your own site.